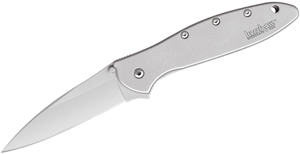 Today, we’re going to talk about self-defense EDC items that you can find over at KnifeCenter. The best self-defense items are things that hide in plain sight, and that’s why these self-defense money clips will fit the bill. This money clip features aluminum construction with a stainless steel money clip on the back side and an integrated finger hole, so when it’s not holding your dollars, you can slip it over your fingers for a formidable presentation. You can also get this EDC money clip in a silver or black finish to suit your favorite style. 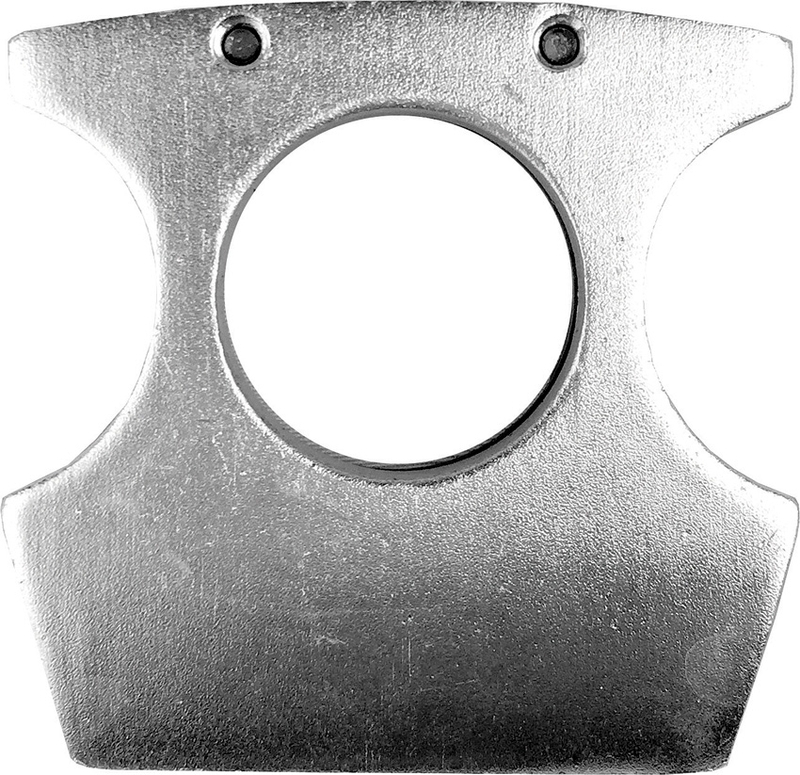 For something more aggressive, you can check out the Cold Steel Mini Koga Self-Defense Tool. This is a kubaton, which means it’s a handheld stick with points on either end – not sharp points, they are blunted – that allows you to concentrate all the force of your strike into a single point, magnifying your power. For a similar tool that’s a little more incognito, check out the Lion Steel Eskaper Kubaton. 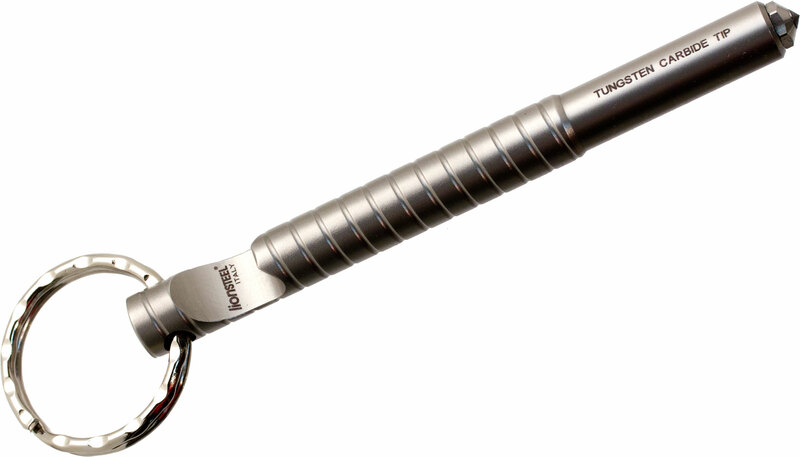 This is a stainless steel keychain-sized kubaton with a tungsten carbide tip. It comes to a much finer point than the Cold Steel Mini Koga, which not only allows you to concentrate your force, but it can also double as a window breaker or a glassbreaker if you need to get out of your vehicle quickly. Because it’s a keychain, it also allows you to convert your keys into a flail. You can use the tool as a handle and swing your keys with a lot of force. 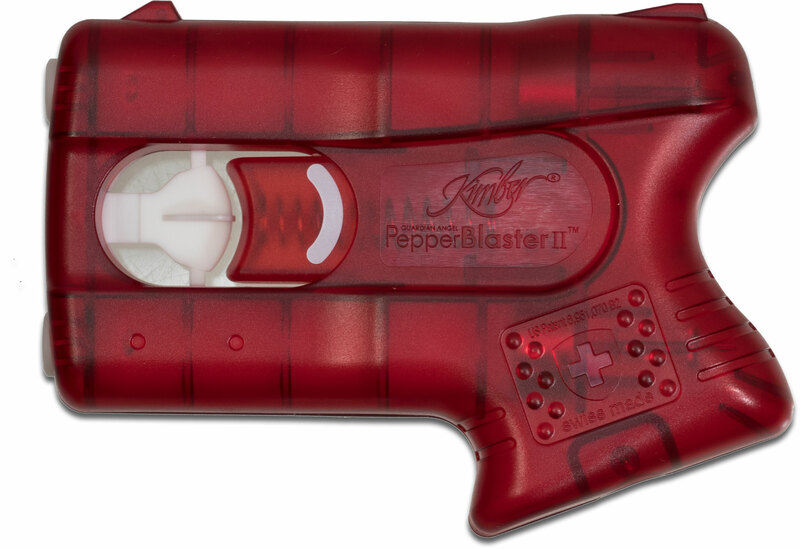 Sometimes, you need a little more stopping power, and that’s where the Kimber PepperBlaster II comes in. Unlike most pepper sprays on the market, these dual canisters come in a pistol grip format, which makes them very intuitive tools to use. You never have to figure out which way the nozzles are pointing with this because all you have to do is intuitively grip it like you would a pistol, push your finger through, point, and squeeze. The formula contained within these capsules is a little different than your standard pepper spray. It can be delivered at a speed up to 112 miles per hour, up to 13 feet away, and a much more concentrated blast than your typical pepper sprays. Of course, one of the best ways to win a fight is to avoid it in the first place, and that’s where these next items come in. First up, you’ll be well-served to have a nice whistle on your keychain. 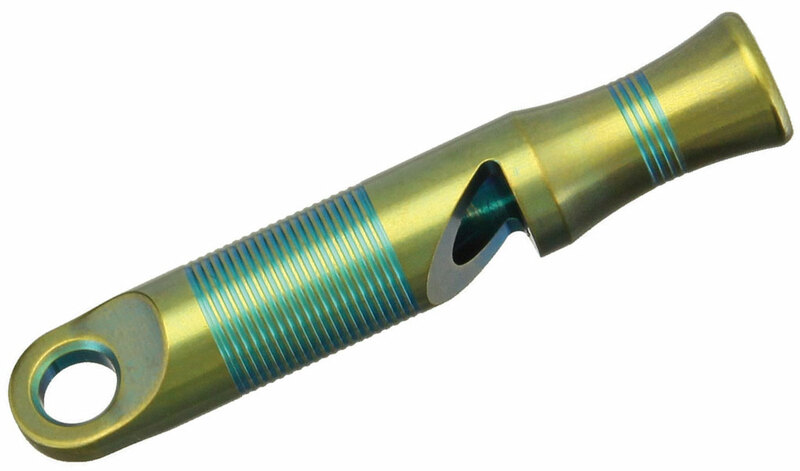 The We Knife Company Titanium Whistle is a great option. It comes in a couple of different colors, so it doesn’t scream tactical at all. It’s going to fit in, and not stand out in a crowd. It produces a very loud blast up to 120 decibels, so you can use this to scare off your would-be attacker or simply signal for help. The next item you might want to consider is a tactical flashlight. We have two items we’ve picked as the best tactical EDC options, which a few Knife Center employees feature in their own personal collections. 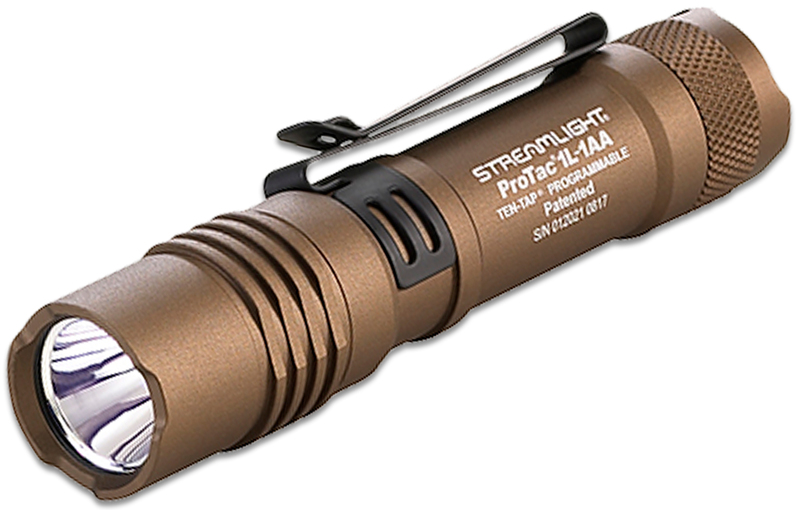 The Streamlight Protac IL-1AA LED flashlight can use either double AA or CR123 batteries, meaning it’s easy to keep this thing fed, and it’s a nice compact size. It comes with a pocket clip, and it’s going to help you out far beyond simple EDC needs. Most of the time, when you’re going to be accosted, it’s usually dark out, so you can use the light to shine into your attacker’s face. It may not blind them or stop them, but it can be enough to disorient them and give you enough time to get away or signal for help. If all else fails, look for a light with a crenulated bezel. 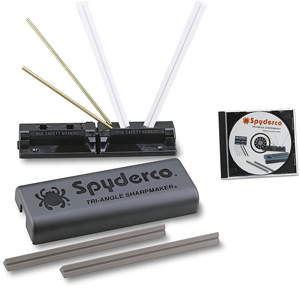 This allows you to use the light for striking applications when you really need it most. Of course, if you want something a little larger and a little more powerful, you can use a light that’s powered by either two CR123s or an 18650 battery. The Surefire E2D LED Defender gives you a little more to hold onto and a little more clearance for that crenulated bezel in the front. There may be some brighter flashlights on the market, but it’s hard to beat Surefire’s build quality and sterling reputation. Another great item you can carry every day is a good walking stick. 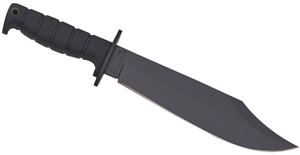 Believe it or not, there are some great tactical versions out there, including the Cold Steel Walkabout. 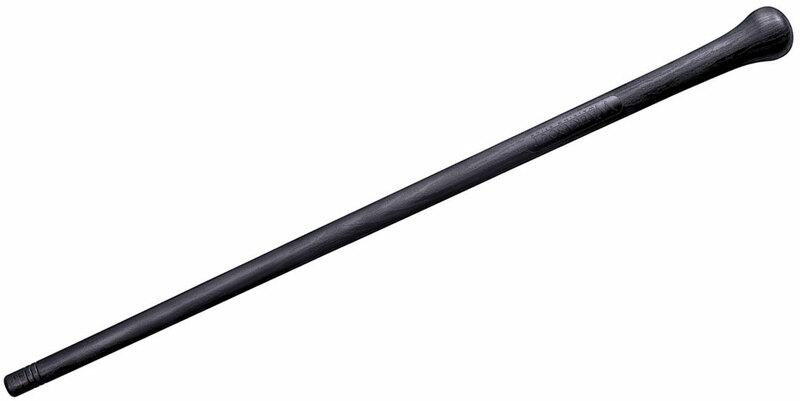 Think of this as a cross between a modern baseball bat and a classic Irish shillelagh, only this is made out of polypropylene and is about 38 ½ inches long. There’s a lot of weight concentrated in the head that allows you to build up a lot of velocity and a lot of damage potential. You’ll want to practice with anything you’re going to use, but in the right hands, this can be extremely powerful. These are just a few of the great self-defense EDC items we carry over at the Knife Center. Let us know your favorite in the comments, or tell us what you use as your self-defense EDC.